Crashing against rocks, failing to wet exit, even bears and sharks might be the first hazards others might think of when considering the dangers of sea kayaking north of the 49th parallel. But me, I fear the cold. North of the 49th, air and water temperature are the biggest threats. Clothing and protective gear should be the first items on the list of priorities when sea kayaking north of the U.S./Canadian border. All clothing and protective wear – at its core – is a function of the material from which it’s fabricated. 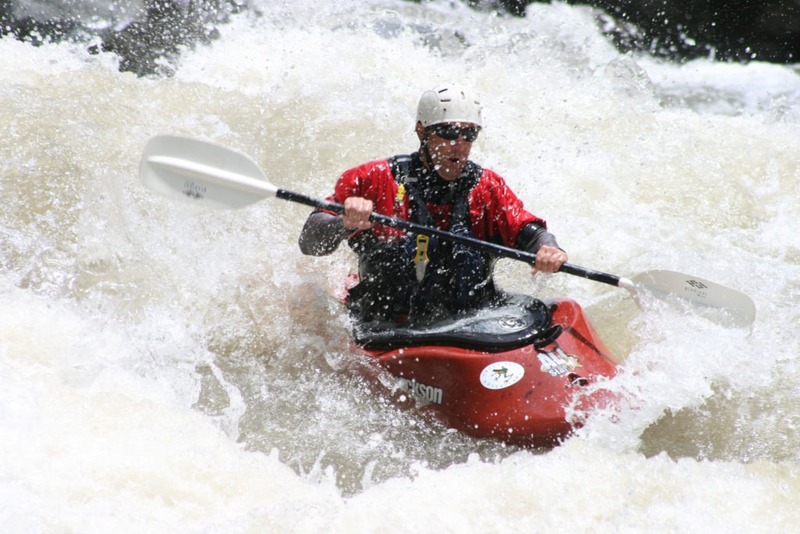 For cold weather kayaking, neoprene is the closest thing there is to a guarantee against hypothermia. Sea kayaking dry tops and drysuits function well because they block the wind and keep a person relatively dry. But they do a poor job of maintaining body temperature. Sea kayaking in water or ambient temperatures colder than 60 degrees requires far more than a Gore-Tex shell laminated on the interior. Poor-fitting, or poorly maintained dry tops and drysuits can leak. If a kayaker ends up in the water, it can really leak. Also, dry tops and suits are not tight enough nor insulated enough to capture sufficient body heat to maintain a person’s requisite temperature in cold water. Dry tops and drysuits go over some sort of insulating baselayer (think longjohns or a fleece sweatshirt.) They aren’t stand-alone solutions. To think otherwise is dangerous. For sunny, weather-less days above 70 degrees, it’s always convenient to have a springsuit or a wetsuit vest and maybe even wetsuit shorts. But, a springsuit or a vest/shorts combination is not elemental. Wetsuit tops and shorty springsuits start around $50 while fullsuits range from $75 to over $500 depending on thickness, purpose, flexibility and how watertight the suit is constructed. The thinner and less flexible neoprene is, the cheaper it is both with respect to price and quality. Contrary to what one might think, flexibility in neoprene isn’t a requisite for dexterity and movement. Flexibility allows for good circulation. It is the allowance of circulation that makes flexibility in neoprene so important, especially for cold weather kayaking. Good circulation through your hands and body equals warm hands and a warm body. When buying gloves, spend as much as you can afford on the thickest and most flexible pair available. Buy a thinner, equally-flexible pair if you can afford to as well. Buy as thick and flexible a wetsuit as you can afford. Flexibility in a hood is not quite as important as it is in gloves and a wetsuit, but thickness is. The more you spend on booties, the happiest you’ll be. But, booties should be your lowest priority. Neoprene socks, on the other hand, should be a very high priority. 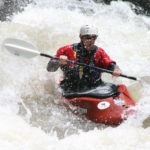 Ryan grew up kayaking the rivers around Gunnison, CO — the Taylor, East, Arkansas, Gunnison and Colorado — and has lived in a small mountain town next to the Pejivalle River in Costa Rica since 2008 with his wife Nancy. When not writing, Ryan spends his time play boating, safety kayaking, and guiding rafts on the Pejivalle and Pacuare rivers. Ryan looks forward to the day he can paddle with his daughter Cassidy.